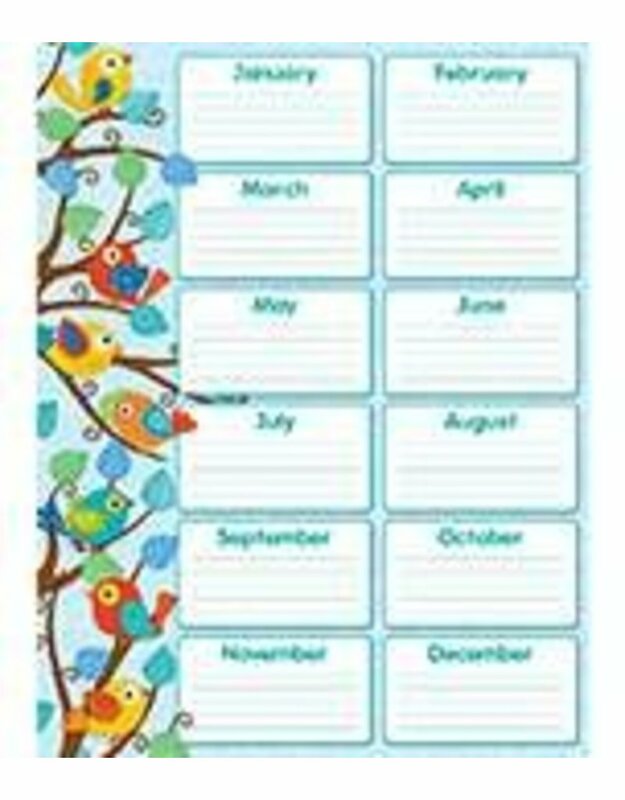 Never forget a student’s birthday with this cheery, contemporary Boho Birds Birthday chartlet! Easy to read and personalize, this chartlet is a perfect addition to any classroom. Includes one chart measuring 17" x 22". Look for coordinating products in the Boho Birds design to create an exciting classroom theme!